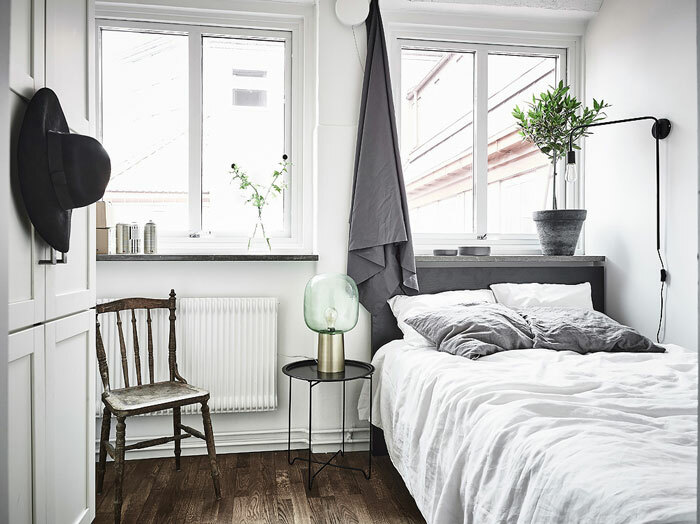 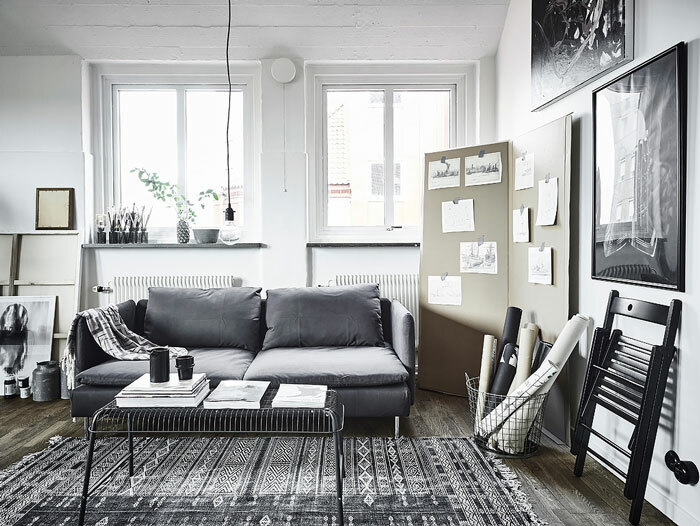 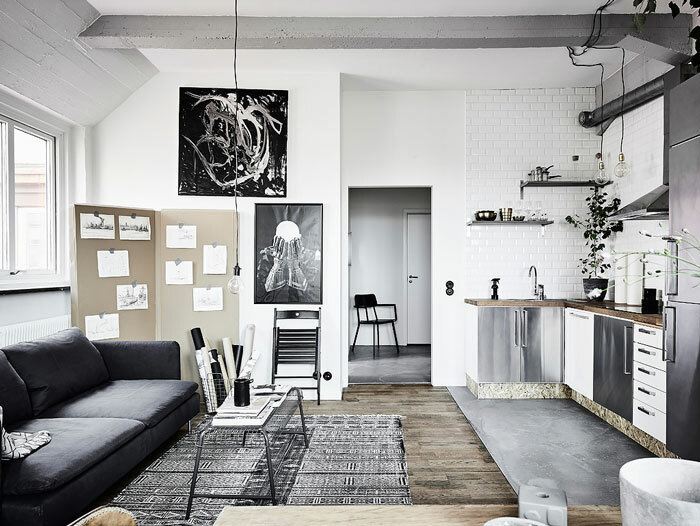 The organized chaos of an artist studio meld beautifully with a functional living space in this bright, 44-square-meter apartment in Sweden. 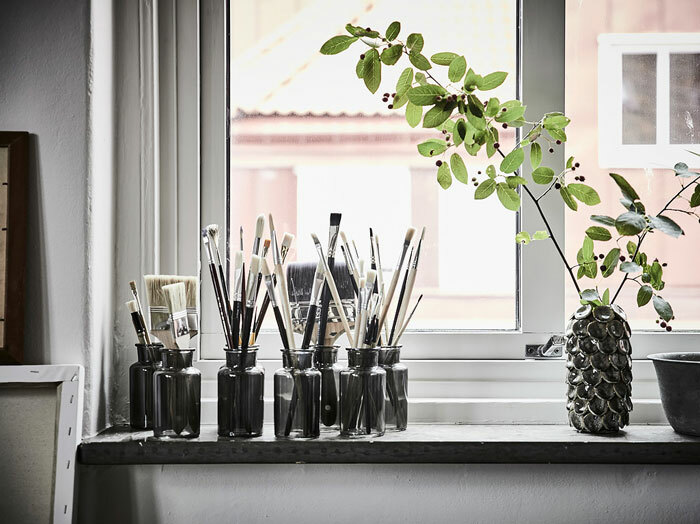 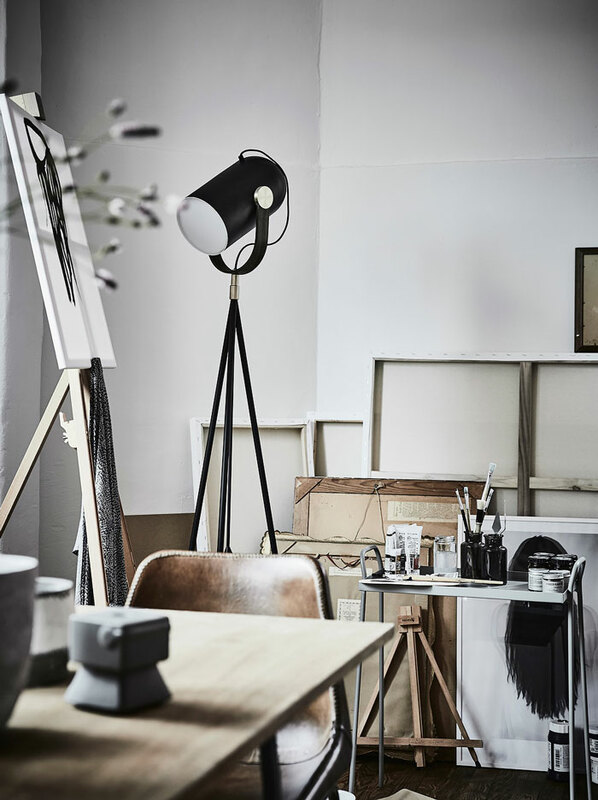 The creative space is bursting with light, which is obviously ideal for a painter. 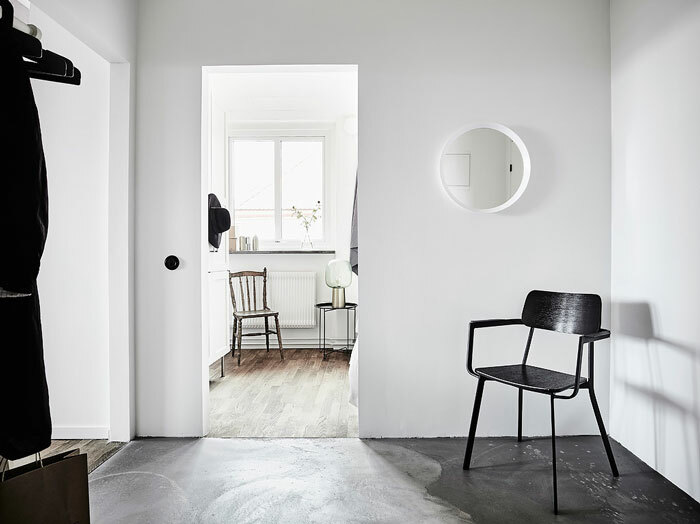 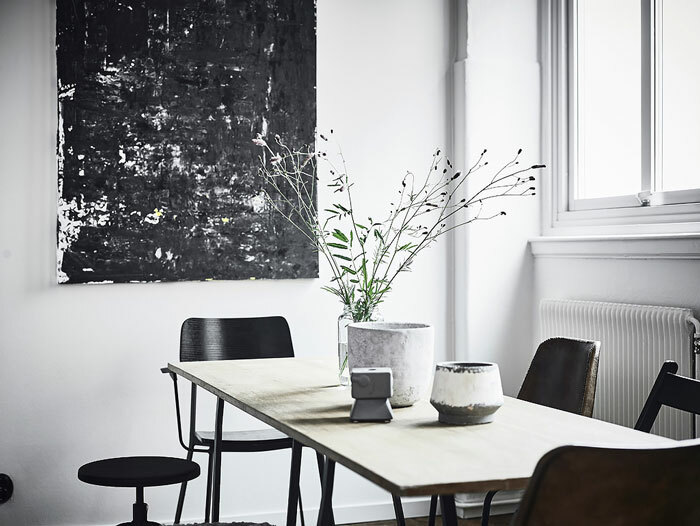 The interior’s restrained color palette, consisting essentially of black, white and grey, reflects the work of the artist. 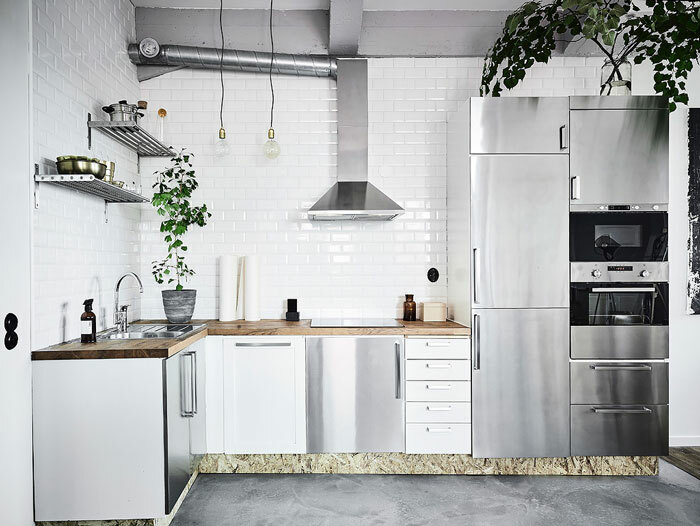 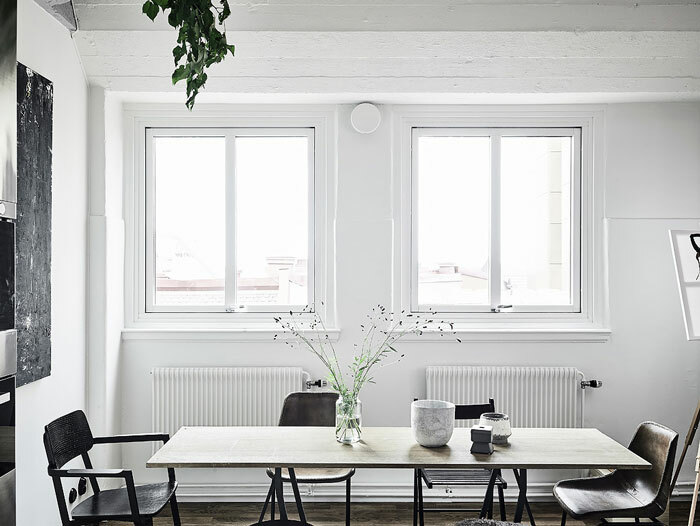 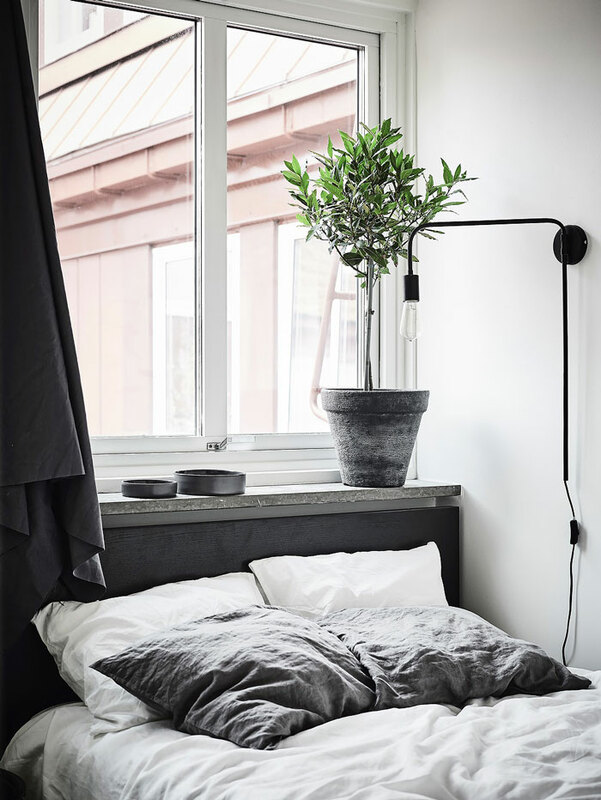 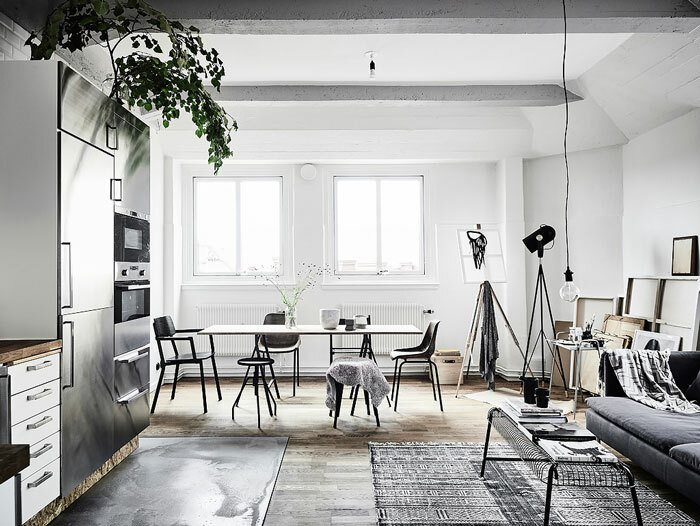 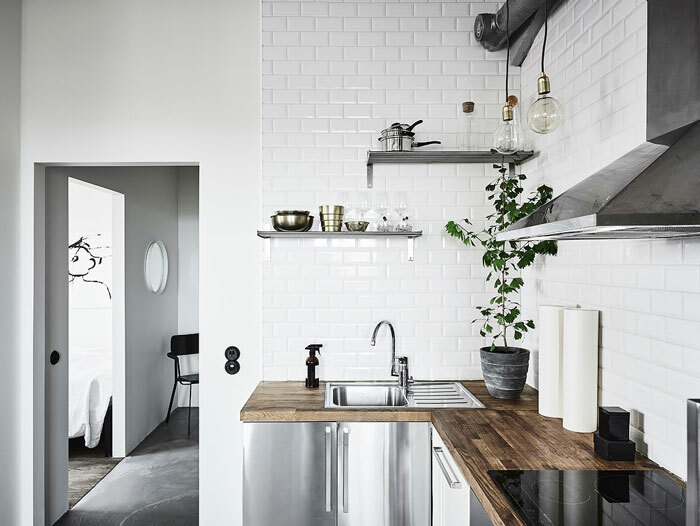 With its cool, industrial-inspired kitchen and bedroom, this inspiring atelier also doubles as a perfectly sized pied-à-terre.